Receive a complimentary engagement session upon the complete booking of a 2016 wedding package! Shoot me an email to set up your free consultation. I recently had the pleasure of photographing this beautiful girl at one of North Georgia's prettiest spots, Vogel State Park. There is nothing like the brilliant colors of a Georgia autumn and this season did not disappoint! Emily and her sweet family traveled from middle Georgia to spend an afternoon with me. We captured some of my favorite senior portraits ever! Those eyes! Those freckles! Those dimples! It was a day of cuteness overload. Emily plans to attend the University of North Georgia next year. We are so happy to have her in our little town! My family takes a yearly beach vacation together and our destination of choice has always been the beautiful Panama City Beach in Florida's Gulf Coast area. Something about the white, soft sand and warm blue waters just keep us coming back, year after year. 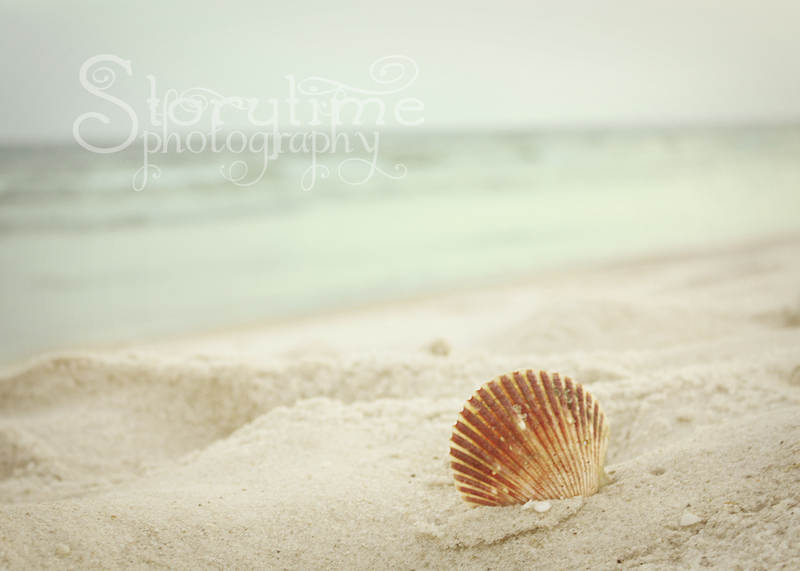 Storytime Photography is available for a destination photo shoot to preserve the beautiful memories of your next family vacation. Contact us for details! This was our first wedding of 2015! And what a great one it was! I was so blessed to have been a part of Mike and Megan's story. They are the sweetest couple and I enjoyed working with them so much! Despite having threatened rain all week, the weather turned out to be lovely. Friends and family collaberated to give our couple the wedding of their dreams at the Grille at Achasta in Dahlonega, GA . Here are some sneak peeks of my favorite images from Mike and Megan's beautiful wedding day! The dreamy blue of hydrangeas in the bridal bouquet was echoed in the wedding party and décor details. ...and the bride and groom were delightful (and too cute for words!). Thank you for letting us share your special day! The following was written by Marcelle Raphael of Southern Belle Studios, on her blog HERE. She explains perfectly in detail the reasons why Storytime Photography will not offer photo sessions with animals. 1. The use of a live animals (mammals) in photography requires a license from the federal government’s USDA. See compliance under Licensing and Registration Under the Animal Welfare Act. Different states may have different licensing and inspection requirements as well, however, even if it is just one animal, a license from the USDA is required, regardless of State requirements. 2. A part of the permitting and licensing process includes an inspection by the federal government’s USDA offices. This is mandatory, even if your state does not require a license or permit. The inspectors may also be required to be present during the photo session. If any animal is hurt, injured or killed, the fines are serious and they can ban the photographer from actively doing business permanently. 3. Animals are often brutalized by pulling, choking, squishing, yanking and being sat upon by little clients. This is obviously no fun for the little animal. 4. Rabbits are delicate animals whose spines can snap just from being held improperly and their legs and ears can be broken or severely damaged without much effort at all. Although fowl (chicks, ducks, geese, etc) are not regulated, keep in mind the legs and wings of chicks can easily be pulled off and broken by a child who does not know how careful to be. Some rabbits become so stressed they will die of heart failure right on the spot. Having an animal injured or dying during the session does not produce the best childhood expressions to capture. 5. Animals often panic when handled by children; a frightened rabbit or chick can bite and scratch, causing lacerations, deep scratches and puncture wounds to your clients children. These can lead to infections, skin rashes and other diseases. 6. Bunnies and chicks can carry diseases such as Salmonella which can be devastating to small children. Here is a link for signs and symptoms of Salmonella. 7. Tularemia or “rabbit fever” is even more dangerous. Check the link for signs and symptoms of Tularemia. 8. PETA actively engages in looking for these activities during the year, especially on Facebook. They have successfully (and rightfully) lobbied the largest photography studios like Sears, JCPenney and Olan Mills to stop the use of live animals. PETA is on the look out for photographers who post questionable images and will call, check licensing and file complaints against the photographer. It’s as simple as calling the USDA and asking if a photographer is licensed. Individuals can also report animal cruelty on PETA’s website. Whether it’s relating to photography sessions or not. No animal deserves be to abused, neglected or mistreated, even if accidentally. 9. PPA, Professional Photographers of America, the largest association of photographers in the world, takes the stance that animals must be treated ethically and according to law. The industry widely does not accept the use of animals and is considered rather non-professional as a photographer. (Please note there are many photographers who appropriately use and photograph animals. I am specifically discussing the inappropriate, unlicensed use of animals for Easter portraiture here). 10. You can be sued for injuries, infections and damages that occur to anyone in the session. Don’t forget some people may have allergies or asthma, too! Animals can be triggers for serious allergy and asthma attacks, including anaphylaxis, which can cause death. I personally have to carry life saving Epi Pens and so does one of my children. It’s not a fun experience. 11. The shoot can become quite haphazard if your little clients are chasing bunnies and chicks. That means you are chasing your client. This, along with the frustration of the child because the animal is not cooperating, the frustration of the parents because the child is not cooperating and the frustration of the photographer because NO ONE is cooperating is not conducive to the best shots ever. Plus, editing out scratches on the face and body parts of your client is an added workload. 12. Feces! Animals can leave droppings everywhere. On your little clients, on their new Easter clothing and on your backdrops and props. EWWW! Often, you will see beginner, hobbyist or amateur photographers in parks around Easter, trying to make an extra buck or increase their portfolio using “live” animals as bait to get appointments. VERY few professional photographers offer this option at all. If they do, it is in a very controlled environment and no one is allowed to touch the animals AND, of course, they have the proper licensing. Family pets may be incorporated into photographic sessions without a license. But, the pet owner must be the person/people being photographed. There must be an established pet ownership relationship. For example: The photographer may not sell a pet to the client for the length of the session and then have the client sell the animal back. It must TRULY be the pet of the client. They can not be rented animals, either. Also, simply completing a setup in which the animals are not handled is not in compliance either. A license is required even without anyone handling the animal. Please report any animal abuse to your local authorities, local humane society, PETA (report to PETA link), your State Department’s of Agriculture or the USDA. Each locality and state will have different ways of dealing with this. Usually a pretty hefty fine, often in the thousands, and jail time if the abuse is repeated or severe. The USDA can be reached at 919.855.7100 and complaints can be filed at aceast@aphis.usda.gov. To see if your photographer is licensed according to the Animal Welfare Act, you can go to the USDA – APHIS databank. As you can see, most people are unaware of the logisitics involved in LEGALLY incorporating animals in portraiture. The only animals I do allow are family pets. If you have a pet that is part of your family, I am more than happy to photograph them. Have a happy Easter! Meet Abi, our 2015 Senior Model from Lumpkin County High School! She is so much fun to work with and is both excited and relaxed in front of the camera, which makes my job easy! She plans to attend Dahlonega's University of North Georgia to study pre-law and would like to explore modeling in her spare time. Be sure to ask Abi about her Senior Session experience and for a promo card for a discount on YOUR Senior session! Submitted for consideration at the www.rocktheshotforum.com August photo challenge: Dance Like No One Is Watching. Where did the summer go? School just started here in North Georgia, and even though the weather hasn't quite gotten the memo, summer is now over, at least for our kiddos. Our family had a wonderful summer this year - the weather offered plenty of opportunity for swimming and we even managed to take a vacation to the beach...one of my all-time favorite places to be! I also managed to squeeze in some fun beach maternity portraits...something about the sun and waves gives such a gorgeous glow to skin and hair! I hope your family had as much fun this summer as I did! Next up....back to school portraits. Keep an eye out for special sessions coming up! Likes: Breakfast, lunch and snack time. Dislikes: cameras and taking naps on cue. Meet Sarah-Anne, our 2014 Storytime Senior model. So much fun to photograph this lovely! She carries herself with such ease and radiates a peace and happiness from deep inside. She will carry on to do some amazing things, I am sure. She graduates from Lumpkin County High School this month with an impressive resume of honors, interests and activities to mark her high school career. She holds academic awards in swimming, soccer and cross-country and serves as the President of the French Honors Society Club and Vice President of National Honors Society. She is also active in Key Club, and at both Dahlonega Baptist and Methodist churches. She plans to enroll as a cadet at North Georgia and eventually train in military intelligence in order to gain the experience necessary to reach her goal of joining the FBI. Sarah-Anne, I adore you and I am so thankful you were my Storytime Senior this year! The event was held on the shores of beautiful Lake Lanier and the weather was gorgeous! There were games and prizes, treats and raffles...everyone had a ball! ...even when it was naptime. Happy Spring!